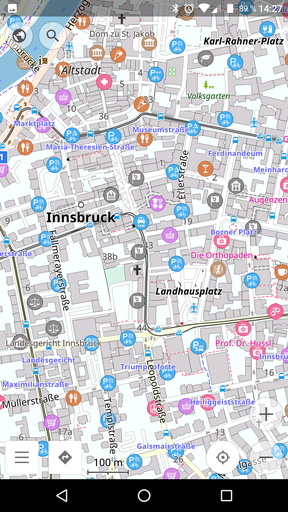 Based on the cartography of OpenStreetMaps, OsmAnd provides GPS navigation completely offline. No internet connection required to calculate routes (download req’d street maps first)! 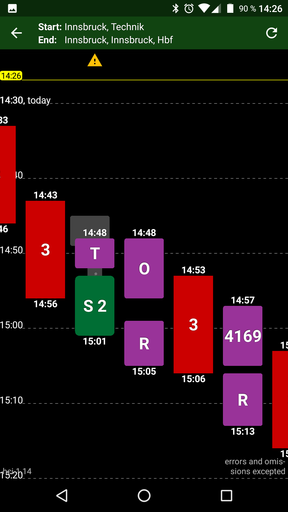 OsmAnd can also show Points of interest, data from Wikipedia or online satellite images if you so desire. F-Droid bonus: usually this app costs $8.99, but on F-Droid you can get it for free (legally)! Ever wanted to grep through your SMS inbox? Write a shell script to access the camera when your phone gets moved? Or simply write some text in vim? Then Termux is for you! 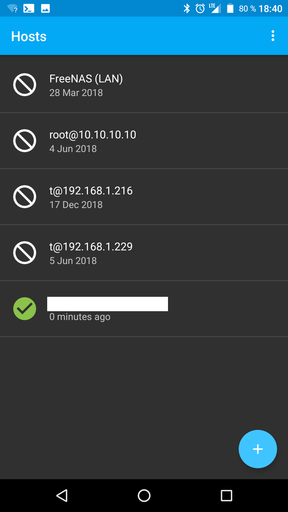 Essentially, Termux is a chrooted Linux distribution inside your phone, and it has some tooling to access data and sensors of your phone built-in. 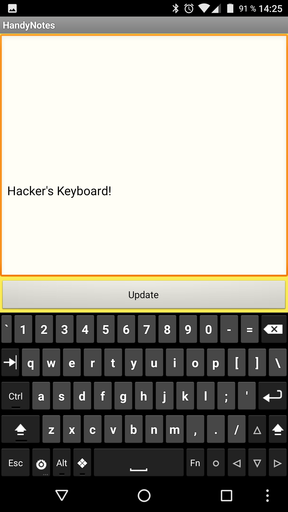 Get the most out of it with Hacker’s Keyboard, also available on F-Droid, or an external keyboard. (Informercial Voice:) Has this ever happened to you: You bought a smart watch and the manufacturer was bought out by a competitor, dropping all support? Fear no more: the Gadgetbridge project is a Free replacement for the Android app of many smart watches, including Pebble, Mi Band, Amazfit and many more! Call in the next thirty seconds to get a second copy of the app for free! More than just an nmap frontend (which is what I use it for), it’s also one for metasploit, allowing you to exploit vulnerabilities and sniff passwords over the network. Usual legal disclaimers apply. 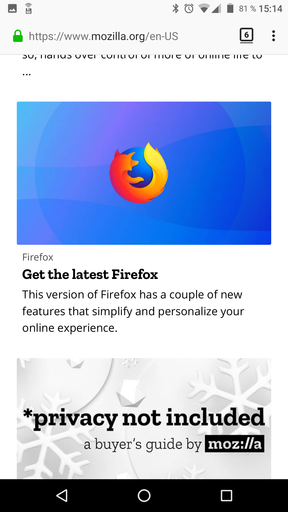 The killer feature of Firefox for Android is probably the extension support: Yes, you can run an adblocker, User Agent switcher or what ever else floats your boat on your phone now! There’s also Firefox Fokus (sometimes called Klar), which does not save any browsing history or cookies and comes with built-in tracking protection (that incidentally also blocks ads). F-Droid provides a telemetry-disabled version called Fennec F-Droid (Mozilla is very strict about their trademarks on modified versions). If you want the real deal, install this third party repository, which offers the unmodified binaries from Mozilla. Fast to navigate and full fledged email client that supports multiple accounts. 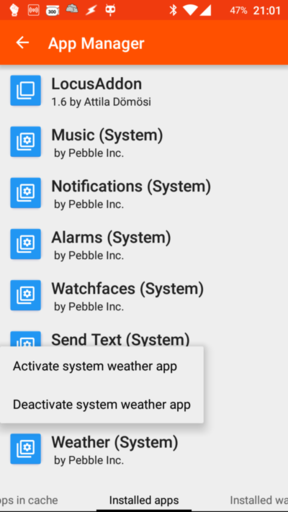 Can sync in the background in user-definable intervals to automatically notify you of incoming messages. Has OpenPGP support (using OpenKeychain) built-in and allows for extensions in the form of external apps to interface with it. 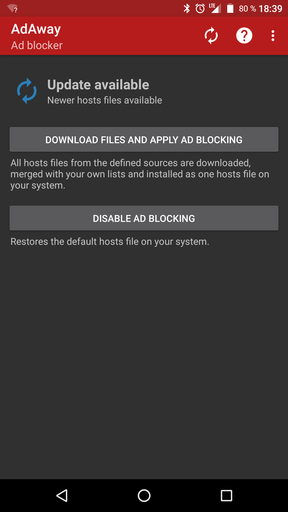 AdAway downloads, merges and installs hosts files that block connections to advertisement networks system-wide. While not as granular as browser addons, this can block ads even in apps. 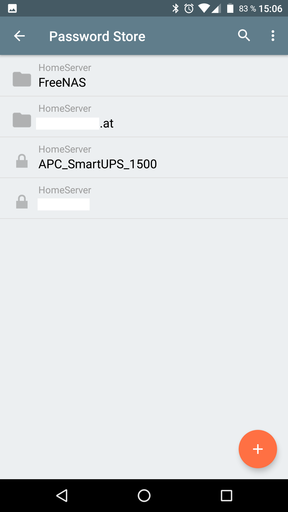 Lets you connect to your servers and workstations; supports port-forwarding and certificate authentication. A fork called TermBot can even use OpenKeychain to authenticate with your smart card or smart token. Does what it says on the tin. 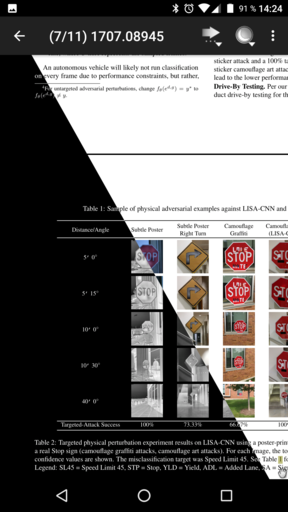 Has a full text search, table of contents navigation and even a invert colors feature (for reading late at night). The perfect companion to ConnectBot and Termux: a keyboard with the keys usually missing: Ctrl, Alt, Super, Esc, F[1..12], and even a dedicated number pad. Highly configurable in its layout. Sometimes you just need to draw a quick diagram to get your point across, other times you might want to highlight or censor part of a photo or screenshot. I’ve used Markers for all of these purposes and it does what it is supposed to do. Note that F-Droid has archived this app, as it hasn’t been updated in a while. 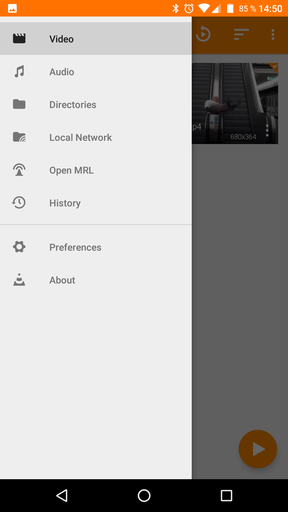 Enable the F-Droid Archive repository, then you can install it by searching for it. Helps you get around the city. Öffi works in many European and world-wide cities and even includes many long-distance services. 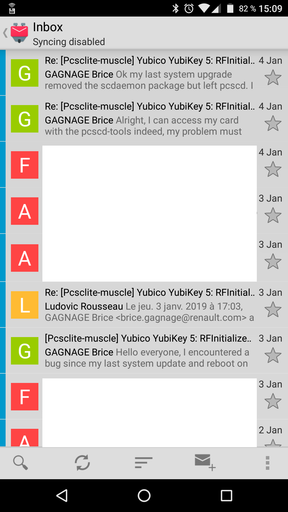 Its backend to communicate with transportation providers has been open source for a long time, but the app itself is a new-comer to the Free Software scene. pass(1) is a command line password manager that uses GPG and git to keep you secure. 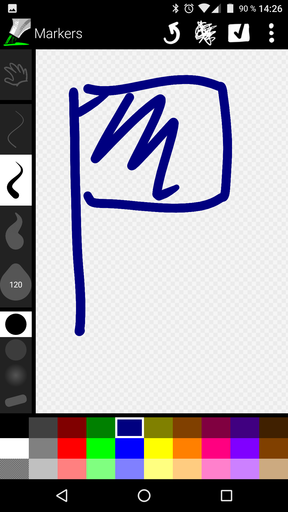 This App is compatible with it and its workflow. In combination with OpenKeychain it brings your password store to your phone or tablet and even supports smart cards and smart tokens like yubi-keys. 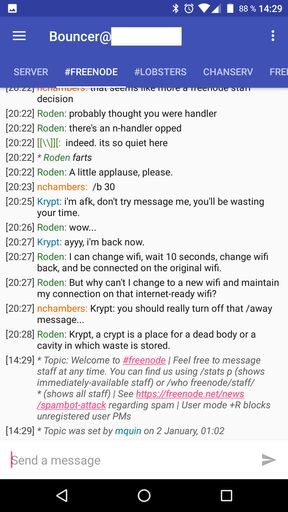 Supports all features of a modern IRC client, including notifications and multiple server/network connections. Its interface is simple, but modern-looking and customizable. Unless you’re team mplayer, you’ll probably know how powerful VLC is. 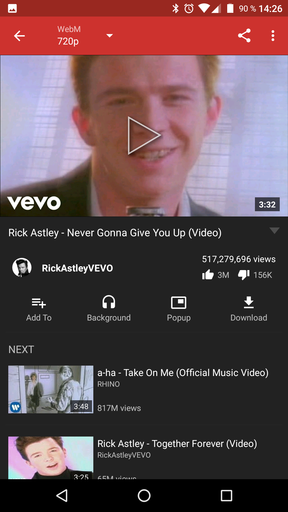 VLC for Android also supports network streams and DLNA servers, so you don’t need to store all your music and videos on your device.